I think he is right on. Such is the dilemma of arousing and then having the audacity to think you can actually control populism. Yulia Kuliyeva, only 19 and already a commissar, sat at a desk and quizzed each young person who sat opposite her, testing for ideological fitness to participate in summer camp. “Tell me, what achievements of Putin’s policy can you name?” she asked, referring to Russia’s president since 2000, Vladimir V. Putin. “And what’s in Chechnya?” Ms. Kuliyeva asked, probing her knowledge of a separatist conflict that has killed tens of thousands and, although largely won by Russia’s federal forces and Chechen loyalists, continues. “In Chechnya, it’s that it is considered a part of Russia,” the girl responded. Ms. Kuliyeva is a leader in the Ideological Department of Nashi, the largest of a handful of youth movements created by Mr. Putin’s Kremlin to fight for the hearts and minds of Russia’s young people in schools, on the airwaves and, if necessary, on the streets. I sure wish the Times would have questioned this obvious charade. I doubt your average Nashi member has such ideological prowess. In fact, Kuliyeva’s question and answer session reminded me of a document I found in the Komsomol archive. Such ideological questioning was common in Komsomol admissions and expulsion trials. Mine comes from an expulsion trial. I believe it is probably more indicative of not only your average Komsomol member at the time but also even symbolic of your average Nashi member’s ideological awareness. Were you drunk in the washroom? What kind of work did you do in the Komsomol since 1923? I was a member of the cell bureau. What did you do as a bureau member and what was your responsibilities? They didn’t give me any responsibilities. I did literary work, gave reports on Komsomol activism. How do you express your Komsomol activism? I encourage worker youth to join the League. When was the 14th Party Congress? Which Party Congress was in 1925? What is KIM (Communist Youth International)? I read but I haven’t for a month. The last one was the ringer. 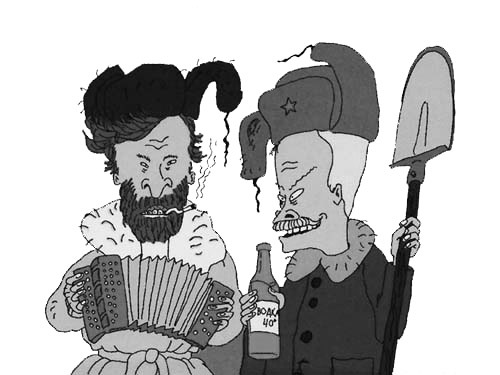 To say the least, Klishin was expelled from the Komsomol. I wonder is Nashi has its own expulsion process to deal with their riffraff.